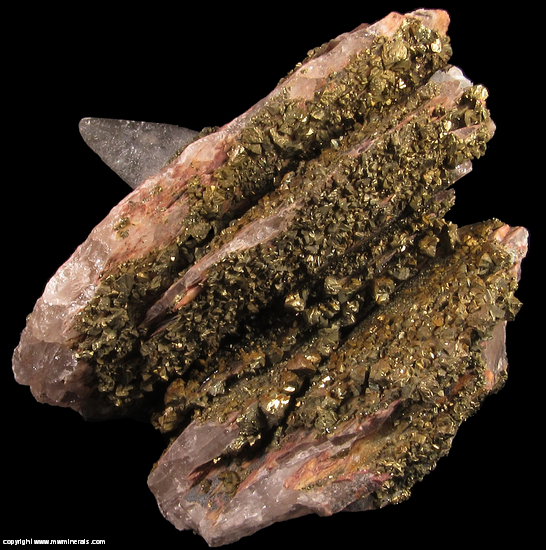 A cluster of large Barite crystals which are coated with golden colored Chalcopyrite crystals. 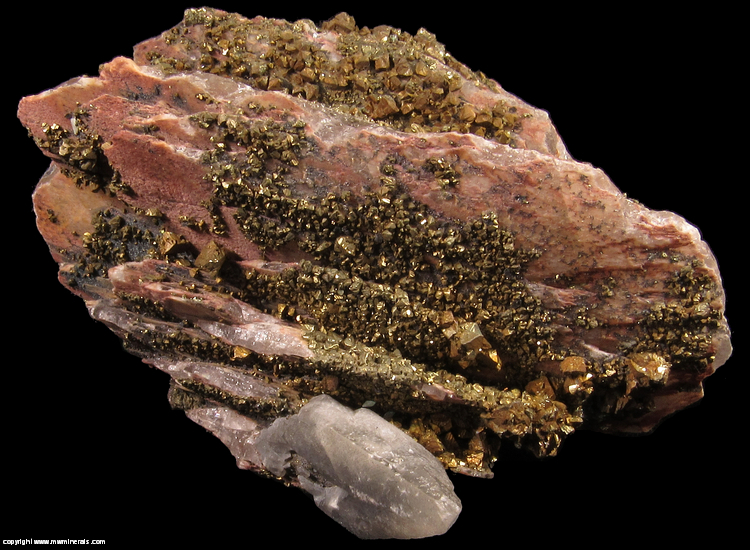 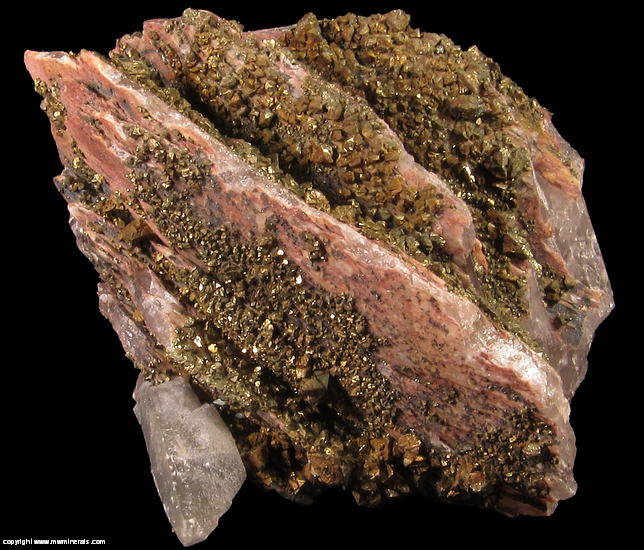 Where the Barite is not covered with Chalcopyrite, the crystals have a reddish color due to the presence of a coating of micro Hematite crystals. 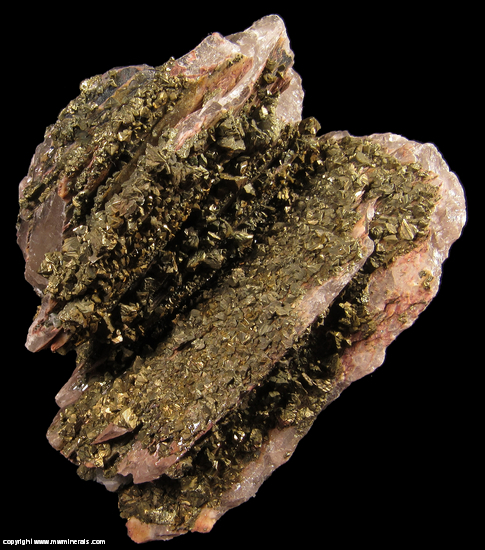 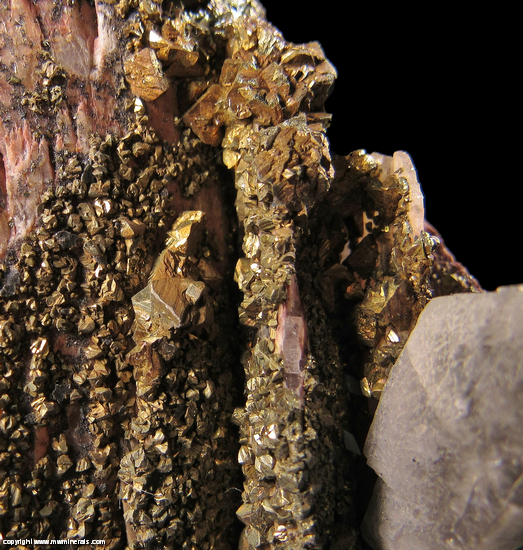 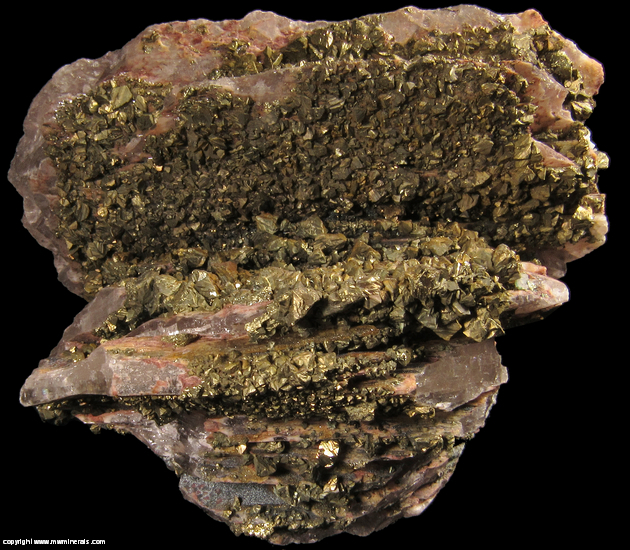 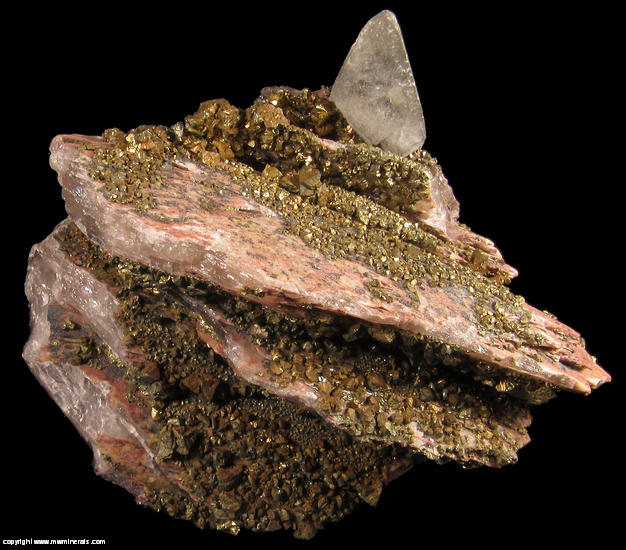 The Chalcopyrite crystals are well formed, many with triangular faces, striations and some twinning. 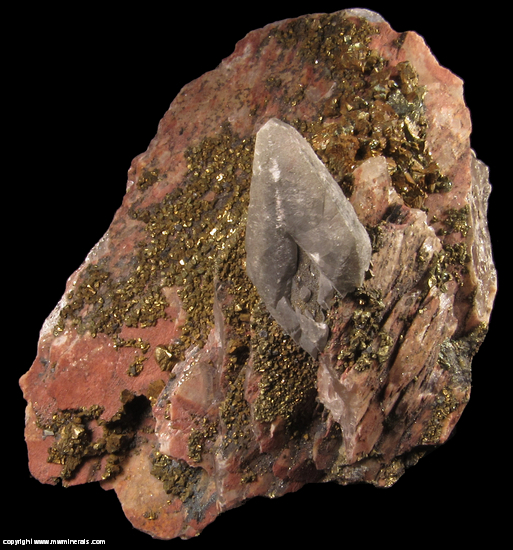 There is a gray colored Calcite perched on one side of the specimen. 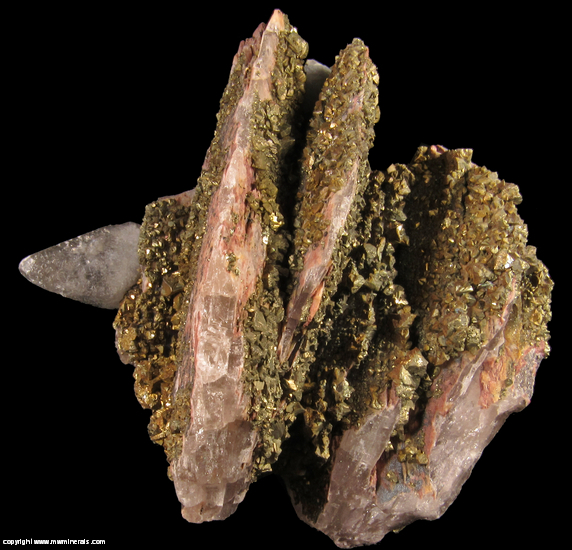 Flaws: There is breakage along the edges of most of the Barite crystals. 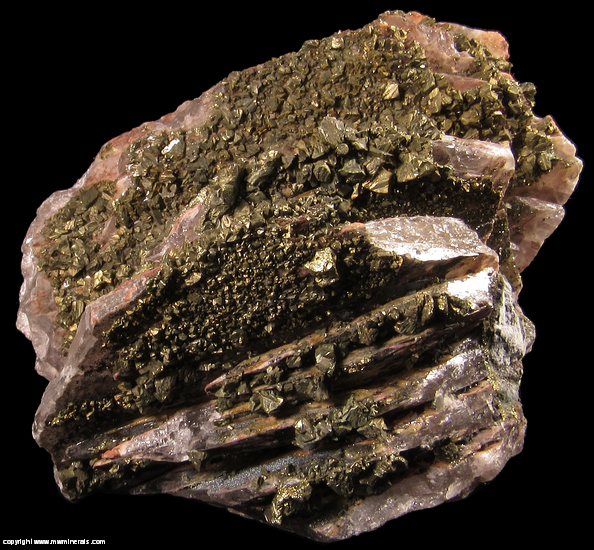 The Calcite is bruised.